Visit our Yahoo club for a message board, chat, pictures and more! Take me to the guestbook! 8-02-05 Wow it's been awhile hasn't it? I am getting ready to overhaul the website with a ton of new content. Contact information has changed as well as guestbook and counter. If you like the site please submit anything Stevie you want and I will be happy to post it. Rock on and look forward to hearing from you all again! 3-11-00 I want to add a new Stevie Quotes section to the page. 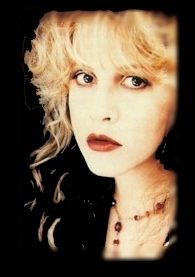 If anyone has any Stevie quotes they want to share, please email them to The Belle In the Night at nonamefan@hotmail.com. Thanks! I'd like to thank everyone who has signed the guestbook and sent us e-mail. Stevie fans are the greatest! Want to join the Stevie Nicks Gypsy Webring?